This project won Highly Commended in the AWA Design Awards for 2016. We are very proud of this National Recognition. Being a commercial project it was important for the clients to have products that will withstand the high amounts of use they would be receiving. VIRIDIAN Super Grey single glazing and 24mm IGU using 6mm Super Grey was used in this project because of its high solar control qualities. Instead of reflecting the heat the super grey tone absorbs it and dissipates it back outside. It also provides high daylight transmission while still providing glare reduction. 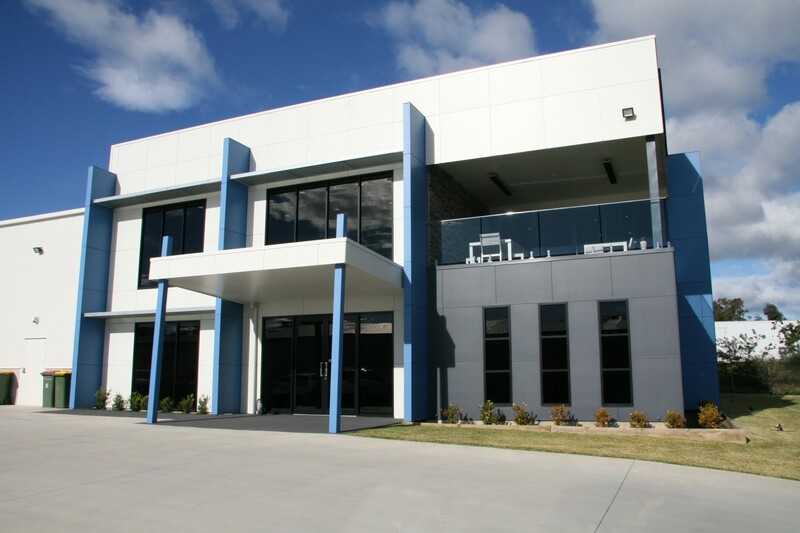 ICON hardware is made from 316-grade stainless steel, which achieves superior weathering performance and outstanding durability, perfect for this commercial building. 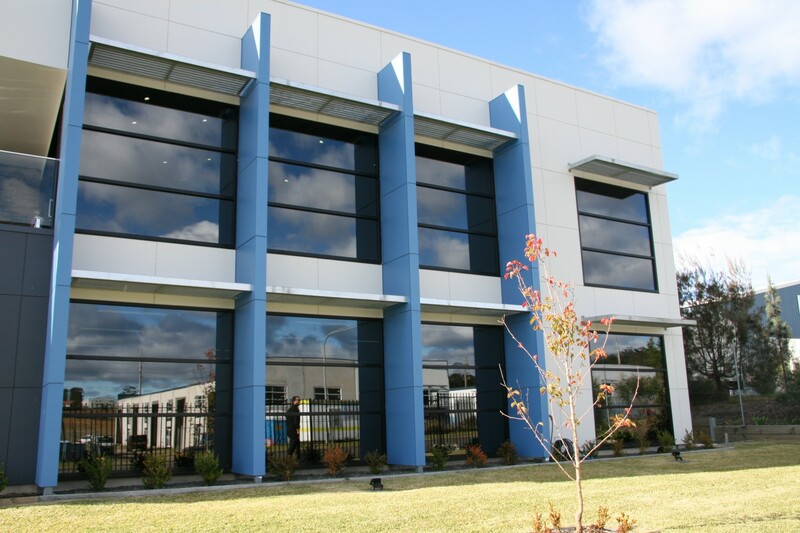 Lockwood locking systems were used on the main doors to the building as they are a heavier duty system. The ELEVATE system was used for its superior strength and wind and water performance. 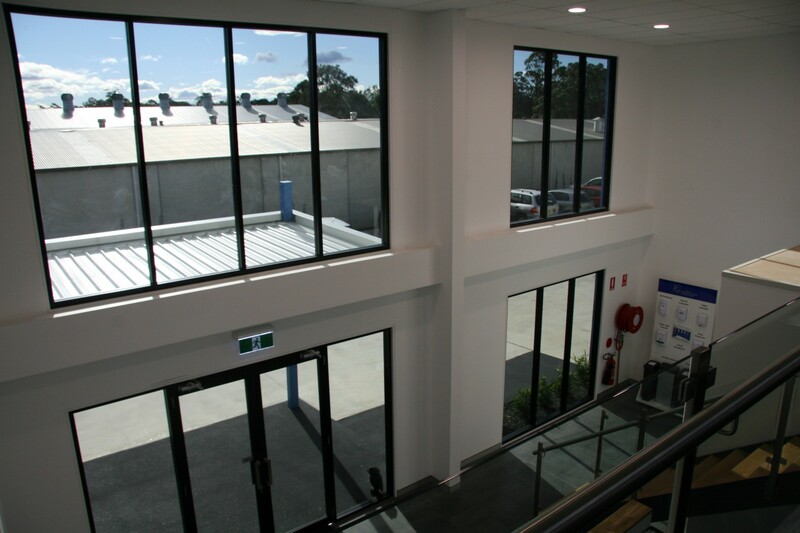 Natural lighting was maximised through the use of large fixed panels, this allows for natural lighting to the offices in the building. Through using VIRIDIAN Super Grey glass, the heat from the westerly sun does not penetrate into the building through the glazing so harshly. This allows for them to have reduced cooling costs, especially in the summertime. 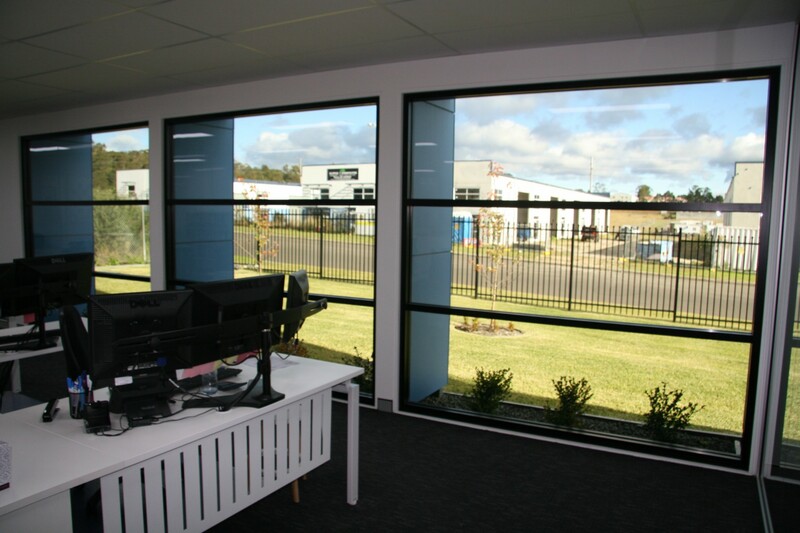 This glazing allow allows for glare reduction, which is important in an office environment. 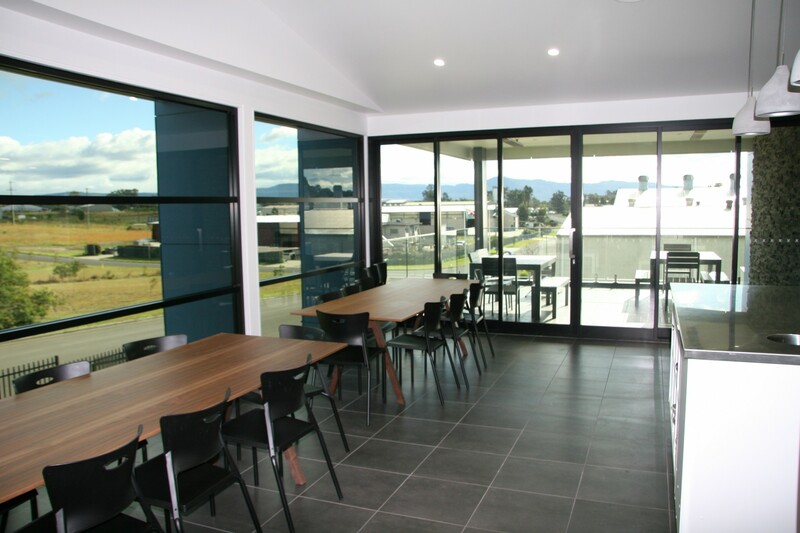 The BASIX specified Supergrey glass and double glazing packs including the toned glass had to be used in some instances to meet the requirements. A 6 panel 704 series stacking sliding door was used in the upstairs communal kitchen. This allows good ventilation in this kitchen area, which is important for exhaust purposes. 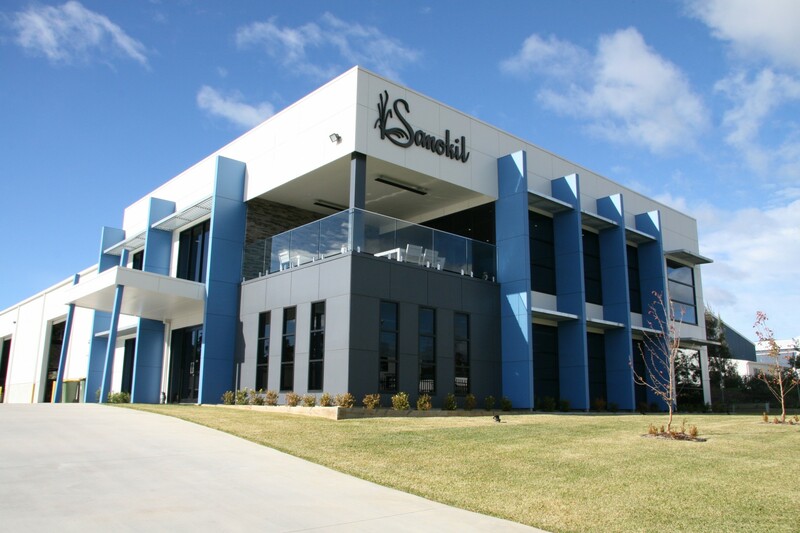 The Sanokil project was a success from an energy efficiency perspective.